For the first time in history, researchers in China successfully implanted human brain genes into monkeys. The scientists, in an attempt to use gene-editing techniques to make monkey’s brains more human-like, have kicked off a wave of debate into scientific ethics, and have caused some to raise concerns that this could be the begging of a dystopian Planet of the Apes scenario. The disgusting mad science experiment was conducted by researchers at Kunming Institute of Zoology and the Chinese Academy of Sciences, working closely with US researchers at from the University of North Carolina. As part of the “research”, they edited the human version of a gene called MCPH1 into the macaques. The gene-edited monkey’s brains developed similar to the human-like timeline, and they had better reaction times than and enhanced short-term memories compared to the control group. “Our findings demonstrated that transgenic nonhuman primates (excluding ape species) have the potential to provide important – and potentially unique – insights into basic questions of what actually makes human unique,” the authors wrote. Animal Hybrids have been created in labs for years! The experiments, described on March 27 in a Beijing journal, National Science Review, and first reported by Chinese media, is hardly the first time perverse scientists have attempted to create some sort of weird animal-human hybrids. Back in 2011, the Daily Mail reported that British laboratories had created over 150 human-animal hybrid embryos. 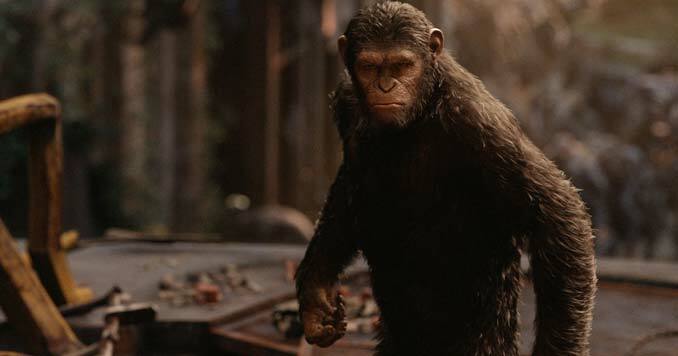 As unbelievably crazy as it sounds, the 2011 story hit the news because a committee of scientists in London warned of a real Planet of the Apes scenario, where scientists would create hybrid creatures that could rapidly spiral out of control. In 2017, Scientists created a human-pig ‘chimera’, claiming they were testing the theory that one day they could grow organs for transplants inside other animals. Sounds like the beginning of a bad sci-fi film, right? Since the passage of the 2008 Human Fertilization Embryology Act, the Daily Mail has found proof that at least 155 embryos that contain both human and animal DNA have been created. Whether any of these creatures have been taken past the embryo stage isn’t clear, but the fact that they have created these embryos should scare the hell out of people. Why create the embryos if you don’t plan on going farther? The 2008 Human Fertilization Embryology Act allowed scientists to legally create these hybrid freaks of nature. A group of leading scientists in London is calling for new rules to prevent lab animals from receiving human attributes. This really is a crazy world that we live in where we actually have to create laws to prevent people from doing stuff like this! But don’t worry, these scientists would never do anything to harm us, right?